A handy woodland creeper related to Mazus apparently. 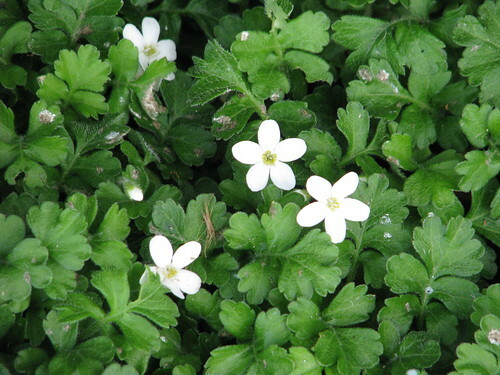 Pure white flowers appear in summer from a mat of lobed leaves. 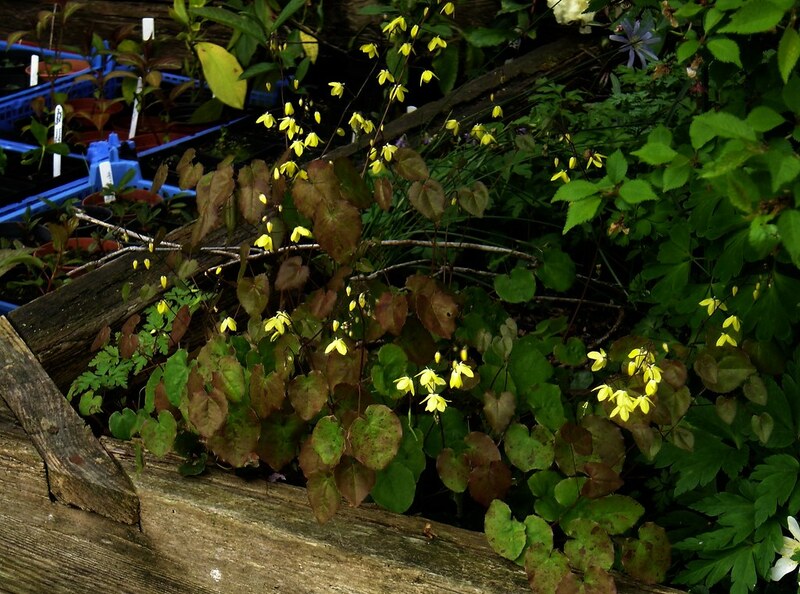 Easy in shady conditions, especially where a bit damp, and ideal for clothing rocks near water features for example. Forming a dense, slow- spreading clump close to the ground. 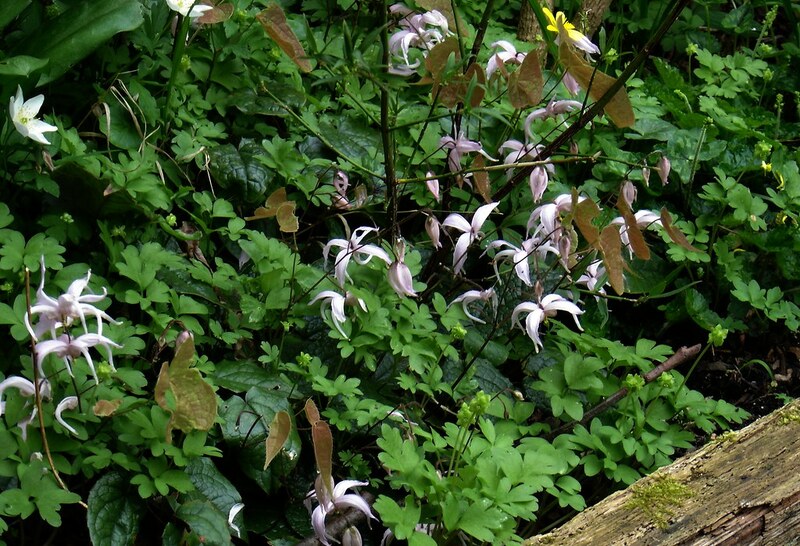 This species produces relatively large soft pink flowers just above the foliage. The brownish new growth is a feature too. Totally hardy in a moist woodsy spot. One of a small number of Chinese species lacking the usual spurs. (The only others that I am aware of are ecalcaratum and campanulatum) In this case the flowers are bright yellow bells and the new foliage is coppery. A neat species that spreads slowly to form a dense colony. For moist woodland conditions. 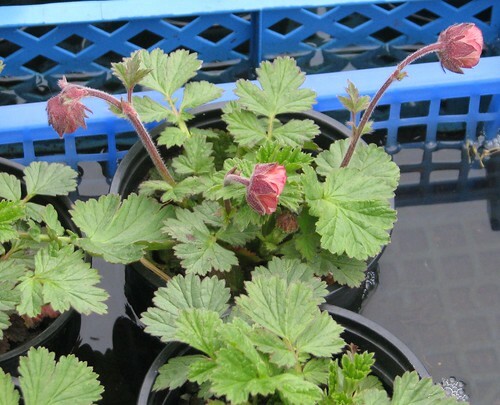 The miniature Icelandic form of our rather lovely but understated Water Avens. The nodding pale peachy flowers are much the same but on shorter stems. An easy and adaptable 'alpine' on any soil that does not dry out. Ideal mini bog plant.